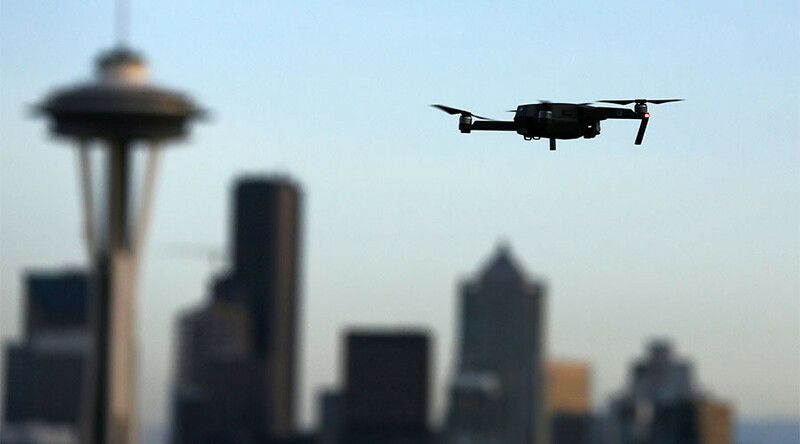 Stepping up security measures, authorities will use surveillance drones, equipped with zoom lenses and infrared at this year's Boston Marathon. More than 30,000 runners are expected to attend, and around a million spectators. The two drones will fly 400 feet above the starting line, tethered by thin wire, where long-distance lenses, electro-optical and infrared cameras will send video feed to police command centers. The drones can track moving targets and fly in all weather. Similar drones were used at the Tokyo Marathon in 2016, according the drones manufacturer, CyPhy Works. The Boston Globe reported the drones, called persistent Aerial Reconnaissance and Communications drones (PARC), would not fly over where spectators are gathered to protect their privacy. Local, state, and federal officials pledged to be on guard for any possibility of an attack during the April 17 race, New England’s largest sporting event. They said they know of no groups discussing or planning violence. More than 5,000 law enforcement officers will be deployed along the marathon route. Officials told the Boston Globe they are drawing on lessons of the 2013 bombings, along with more recent attacks here and elsewhere, to develop plans to keep the event safe. The Boston Athletic Association is urging people not to carry weapons, backpacks, suitcases, coolers, glass containers, cans, flammable items, containers larger than a liter, big handbags, large blankets, bulky costumes, or masks, according to the Boston Globe. In 2013 two homemade bombs detonated near the finish line of the annual Boston Marathon, killing three people and injuring several hundred others, including 16 who lost limbs. The two culprits, who carried the bombs in their backpacks, were Chechen-American brothers Dzhokhar Tsarnaev and Tamerlan Tsarnaev. During interrogation, it was explained they become self-radicalized and motivated by extremist Islamist beliefs and the wars in Iraq and Afghanistan. Tamerlan died during a shoot-out with police but after a manhunt, Dzhokhar was captured and finally convicted of 30 charges, including a weapon of mass destruction in 2015, and was sentenced to death in May 2015. Boston police are planning to screen people entering the area around the finish line, as they have in previous years, and they will begin closing roads in the most heavily packed areas earlier than in the past.